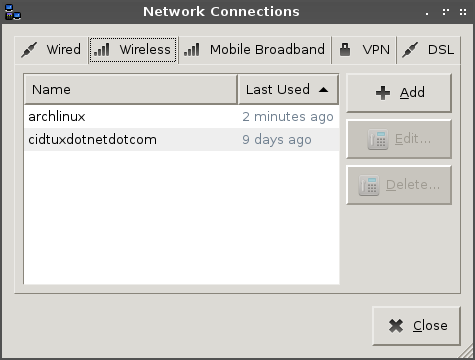 After you install desktop Environment, the internet connection still do manually, to make auto with GUI configuration, i usually using networkmanager. Because it's easy to use. 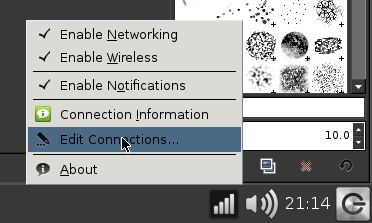 Right click on Network Manager, then click on Edit Connections, to add new connection. You can set wired For LAN connection, Wireless for Wifi Connection, Mobile Broadband for some USB modem devices, VPN, and DSL. In my connection i usually using wireless, and usb wired connection. For others i didn't try it yet on network manager.